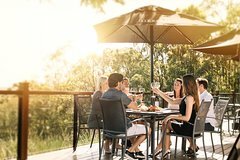 As one of Queensland's fastest growing wine regions, the Gold Coast hinterland is making its mark with state, national and international wine and tourism awards. 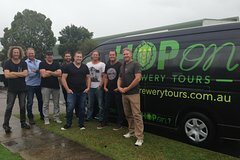 With a range of wineries located at Mount Tamborine, Mount Nathan, Canungra and Lamington, you can fill a couple of days visiting them all. The range of different micro-climates of the Gold Coast wine-growing region make for optimum growing conditions in which a variety of grapes can be successfully grown. The Gold Coast has a wonderful variety of sub-tropical fruits and berries which has helped to create a fruit wine industry producing tables wines, liqueurs, port style wines, dessert wines and sparkling wines. 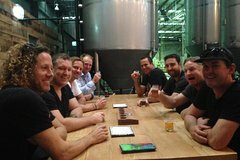 Most of the major tour operators offer day trips to the major wineries on the Gold Coast so you can enjoy a few tasty drops and some delicious food and views at the cellar doors. We've selected some of the best for you to browse through. Why not book accommodation in the mountains and turn it into a romantic weekend getaway! Best of all, you won't have to worry about driving. Situated on the river bank Albert River Wines is a boutique winery that boasts beautiful panoramic views of Tamborine Mountain and the surrounding Hinterland. 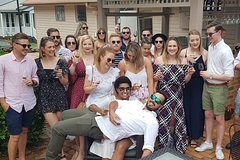 Situated in an historic colonial homestead and an iconic Queenslander Albert River Wines cellar door is open daily and available for all types of functions, from small wine tastings to scenic weddings. Established with the vision of promoting Australian wine internationally Aussie Vineyards has been doing just that; receiving awards and praise from critics the world over. The Mt Tamborine cellar door is ideally located on the scenic rim of the Gold Coast Hinterland where tasters can experience native wildlife, fresh mountain air, beautifully kept gardens and spectacular views while they enjoy the wine of Mt Tamborine’s oldest vineyard. Relax over superb food, serene lake views, fine Australian art and an extensive range of wines for any palate. Even bring the family and take a tour of the magical Glow Worm Cave attraction. Cedar Creek Estate, with its tree lined driveway, picturesque setting and romantic chapel, specialise in weddings, providing everything from the initial planning stage right down to the last detail. Open seven days per week, this beautiful vineyard has an extensive range of red, white and fortified wines available for tasting (and purchasing) and a superb restaurant. Walk through the giant doors and step into their wine cellar filled with an incredible selection and sample the range before heading to the restaurant for an amazing meal. Set in the peaceful Canungra Valley in a 150 year old Queenslander and run by a family known for providing amazing hospitality in the area for over 80 years, O’Reilly’s Canungra Valley Vineyards is a melding of authentic Queensland history. Offering everything from casual dining, picnic baskets, functions and intimate weddings the boutique cellar doors are open seven days. Sitting atop a hillside of Mt Tamborine is a beautifully restored church with high set cathedral ceilings and a stunning cedar staircase, an image of old world elegance. Heritage Wines grow and produce their wine at the ambient location using the historic building as cellar door, restaurant and function centre. In the foothills of the scenic Lamington National Park sits fifty acres of Sarabah Estate Vineyard producing amazing Rosé and Cabernet Sauvignon among other elegant wines. The Winery is open for tastings with a quaint chalet and even under the stars dining options by appointment. Wine isn’t just a drink at this small, bold winery. At Witches Falls they love the whole process; it’s a way of life and has seen incredible results on the National Wine Show Circuit. 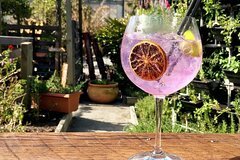 The quaint little winery is situated on Mt Tambourine in the Gold Coast Hinterland and welcomes guests for tastings seven days a week.